Sign-up and receive Property Email Alerts of Residential New Developments in Cape Town City Centre, Cape Town. Dogon Group Properties in association with Abland are proud to offer our latest trendy new sectional title development, The Rubik - combining international living standards with breathtaking nature. This inspiring development, with all it has to offer, is the ultimate place to live and work. Situated on the corner of Loop Street and Riebeek Street in the growing financial hub of Cape Town, The Rubik is ideal for discerning individuals who appreciate elegant and unique, modern architecture. 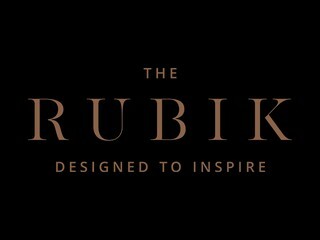 The Rubik offers a high-quality blend of exceptional penthouses, apartments, offices, retail outlets and restaurants. Whether you buy to own or buy to invest, the Rubik's exquisite design, attractive location and world-class facilities make it a priority purchase. Loop Street is the most cosmopolitan street in the Mother City, attracting people for its vibrant nightlife, historic buildings, art galleries, antique shops and wide variety of restaurants, bars and cafes. Step outside The Rubik and you're a heartbeat away from the azure ocean, pristine beaches, Table Mountain, fynbos, wildlife, impressive architecture and the Winelands just an hour away - Cape Town is surely one of the most alluring cities in the world.